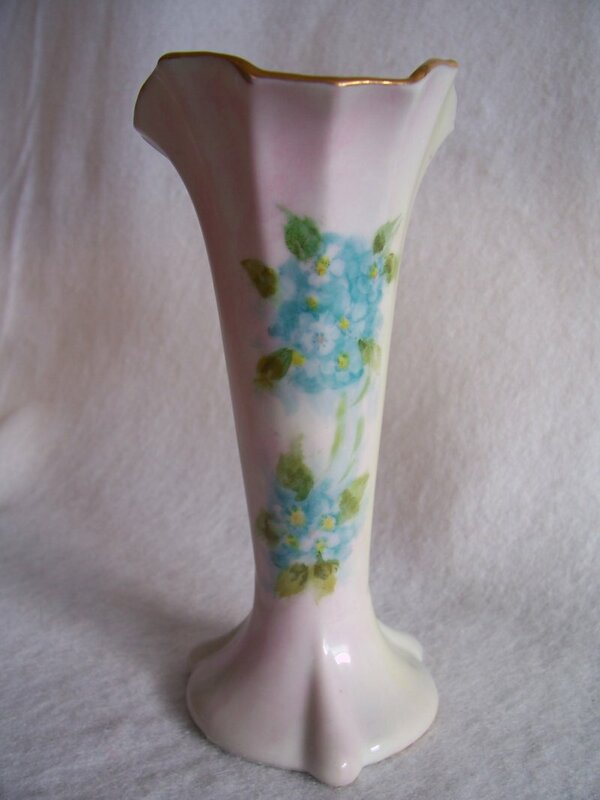 A beautiful hand painted porcelain bud vase. 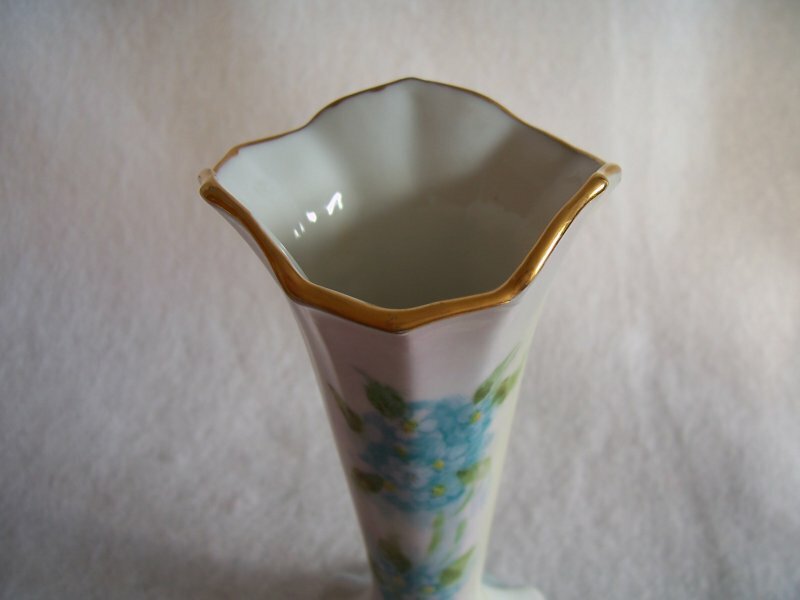 The porcelain itself is an unmarked piece but appears as fine as any Limoge or Bavarian porcelain. 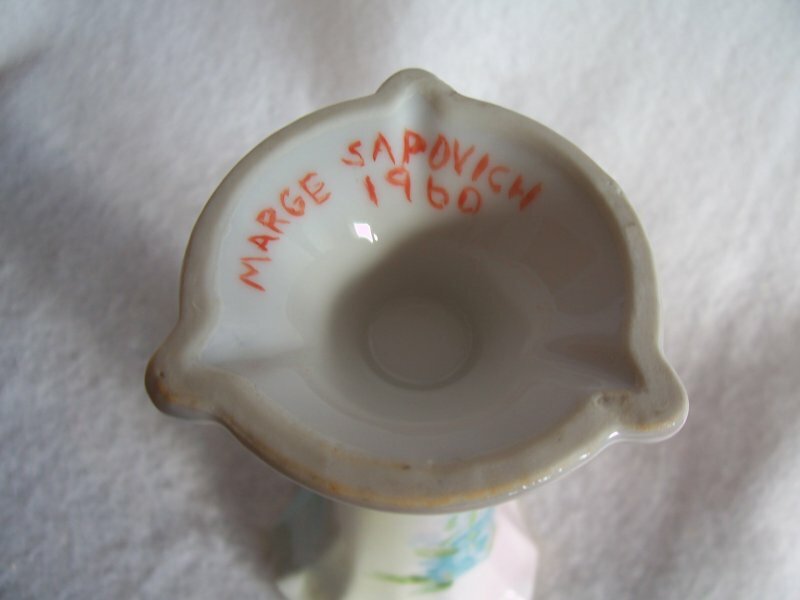 It has been hand painted and signed by the artist, Marge Sapovich,1960. 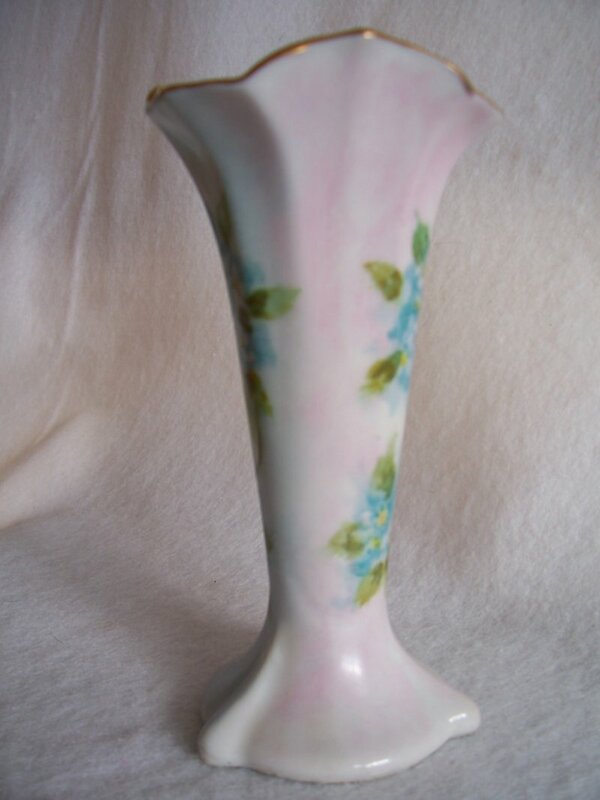 A beautiful hand painted porcelain bud vase. 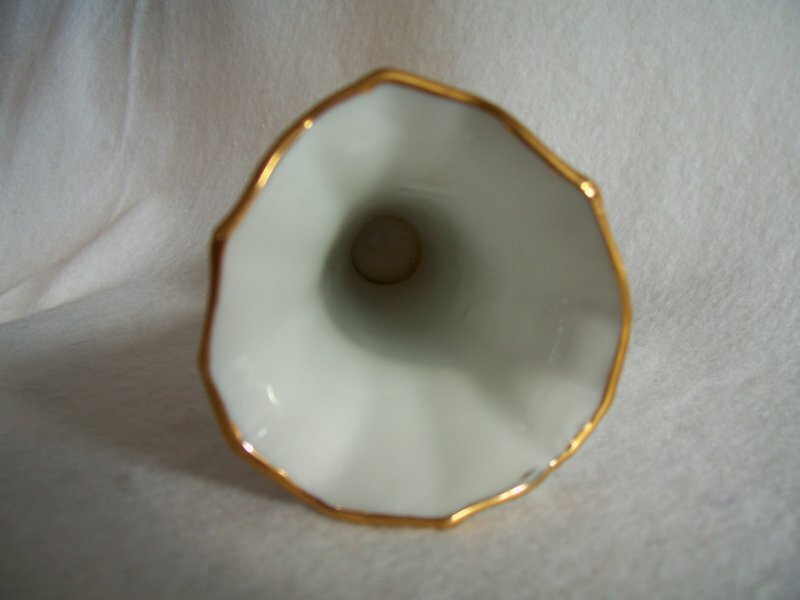 The porcelain itself is an unmarked piece but appears as fine as any Limoge or Bavarian porcelain. It has been hand painted and signed by the artist, Marge Sapovich,1960. 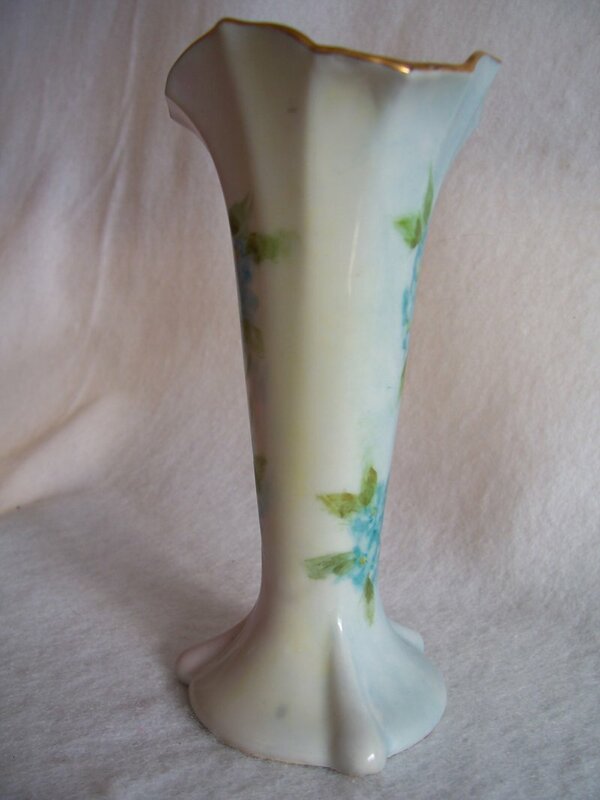 The background pastels are very muted and makes for an interesting vase. Every time you move it, a different color background shows, very pale yellow, blue and pink. 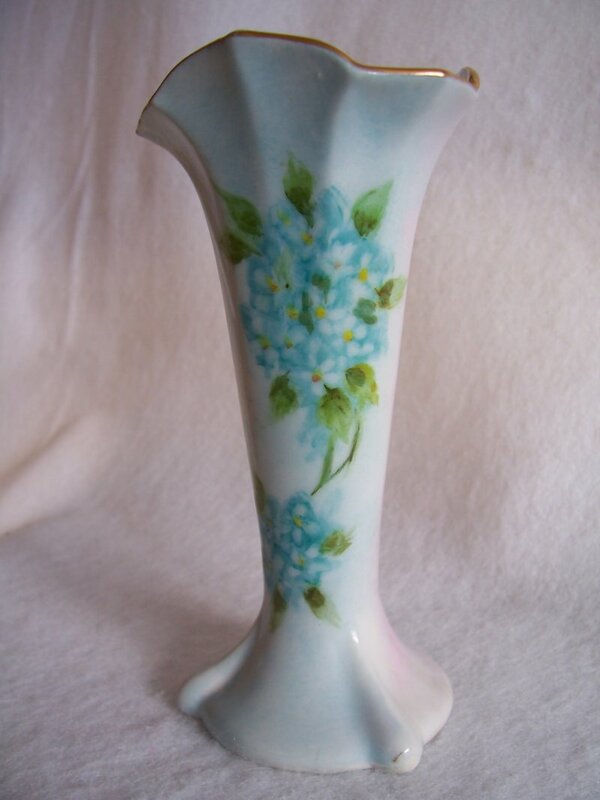 There are hand painted Forget Me Nots that are on the pink and blue backgrounds. Very soft and pretty. The ruffled top is trimmed in gold. There are no cracks, chips or fleabites. No crazing. Gold appears to be totally intact. It is 6 inches tall. 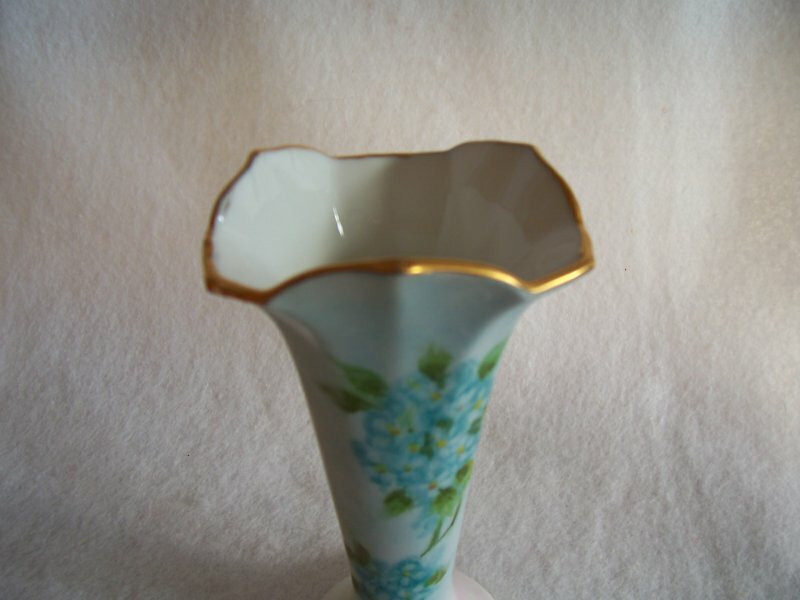 The diameter of the top and the base is 3 inches. Perfect for smaller bouquets and single stem blossoms.